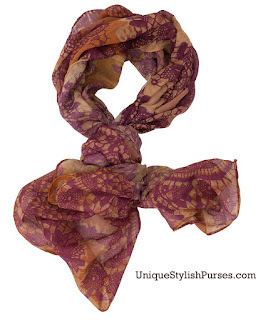 Willow Scarf Custom Custom lace print in shades of purple, rust and golden wheat. Dim: 69" long x 28" wide. 100% polyester: hand wash only, lay flat to dry.